My name is David Edwards and I am the Federal Programs and Career and Technical Education (CTE) Coordinator at Smithville ISD. At Smithville ISD we want to ensure all our students are ready to participate in the future job market. Did you know that only 40% of our U.S. high schools teach computer science, yet there are currently over 500,000 open computer science positions without talent to fill them? We have a plan to help change this equation in our community. Smithville High School has an opportunity to partner with Microsoft Philanthropies TEALS to bring computer science courses to our high school. The TEALS program recruits, trains, mentors, and places passionate technology professionals into high school classes as volunteer instructors to team teach. 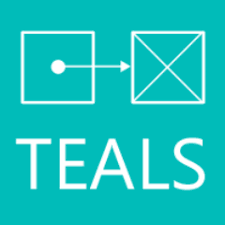 Since 2009, TEALS has brought computer science education to hundreds of schools. This is an exciting and innovative way to open new pathways and career choices to our students! We need to demonstrate that we can help recruit volunteers from the computer science or software engineering fields to participate in the TEALS program with our teachers.